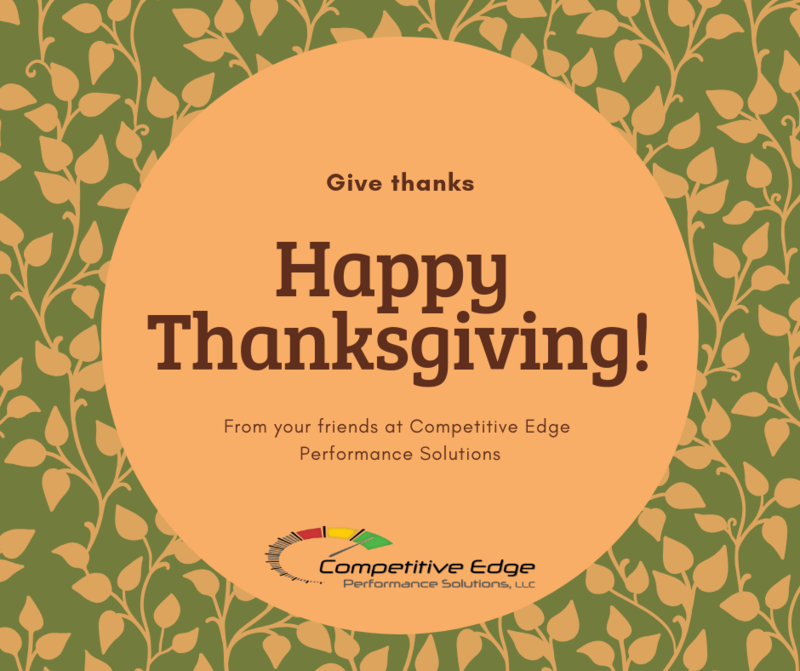 Happy Thanksgiving from your friends at Competitive Edge Performance Solutions! 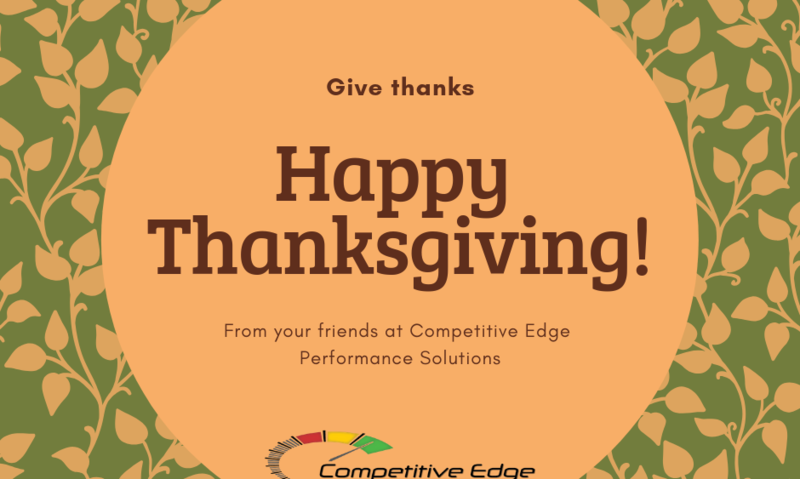 Rick is the President, CEO, and founder of Competitive Edge Performance Solutions, headquartered in Charleston, South Carolina. Rick has over 30 years of experience in management, and over 25 years of training experience. Rick has developed highly effective training materials and models in many disciplines and has taught these sessions all over the United States. Rick specializes in leadership, teamwork, management systems, systematic process improvement, strategy, continuous improvement, project management, performance management, innovation, re-engineering, organizational development, auditing strategies, risk management, executive coaching, and human resources management. Rick has been involved in the writing of many national guidance manuals associated with organizational management, environmental management, Lean Six Sigma, and continuous improvement. Rick is an adjunct professor at a Charleston college. As a professor he teaches management, strategy, communication, quality, auditing, and human resource management courses.